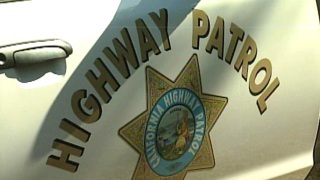 The California Highway Patrol issued a Sig-alert and shut down northbound lanes of Interstate Highway 280 near the scene of a crash in Hillsborough early Saturday. According to the CHP, it was reported at 5:49 a.m. that a vehicle was overturned on the Doran Bridge, which spans Crystal Springs Road near the Crystal Springs Reservoir. At least two vehicles were involved in the crash, according to the CHP, and at least one person was reported as having minor injuries. There is apparently black ice on the bridge, according to the CHP. The northbound lanes along the bridge were being closed at 6:34 a.m. for at least 15 minutes. The bridge reopened at about 8 a.m.